A year ago, on January 2, 2017, I set out on a mission (once again) to get healthy. It's taken me a long time to get brave enough to post my story here. The main reason for that, I think, is because I knew I would need to share before/after pictures. My before pictures are embarassing to me, but I also know that it's important for others to see the results and not just read about it. 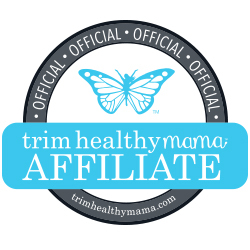 I originally began Trim Healthy Mama back in 2013. I had just had my third (and last) baby so, of course, I was searching for a way to lose that baby weight...and the leftover baby weight from the other two girls. 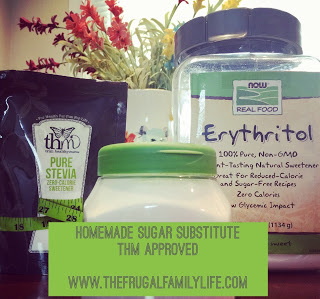 I came across Trim Healthy Mama on facebook through some of the homeschool blogs and pages I followed. I was immediately intrigued and ordered the first, very thorough book. I've always had an intense interest in nutrition and health so I quickly picked up on the THM lingo and understood the plan quite well. I ended up loving the plan and losing all my baby weight and getting back down to (almost) goal weight by early 2014. Unfortunately, the last half of 2014 and the first few months of 2015 were very hard on our family. There was a lot of stress going and our family ended up moving away to a new community. As you can imagine, throughout all of this I slipped back into my old habits and started gaining. I was eating like a teenager, but obviously, my thirty-something year old body was not metabolizing like a teenager. Let's fast forward to the end of 2016. Life once again changed, and we moved back to the community we had moved away from. Needless to say, at the end of 2016 I weighed more than I had EVER weighed before. And yes, that includes heavier than I was in any of my three pregnancies. Not only was it the number on the scale, but it was my health. My wedding ring wouldn't fit any longer. I was having blood sugar crashes all the time and would have to just start stuffing food in my mouth to get my blood sugar back up. I was dealing with tons of hormonal issues and had been to numerous doctors and specialists over the last 18 months trying to figure things out. Ultimately, I knew what was wrong. It was my diet. And I was doing this to myself. I had reached a point of total disgust and knew that I had to do something. I made this a matter of prayer, got out my THM books and made a new committment. My 2017 resolution was to lose weight and get healthy. I started January 2, 2017. 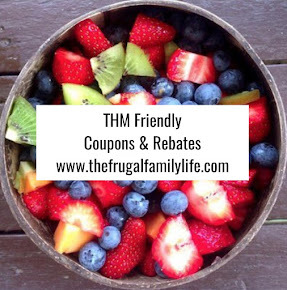 I followed the Trim Healthy Mama plan with very, very few cheats and started seeing the pounds drop off. The scale was moving down consistently. But, even better? The sugar crashes stopped. My blood sugar was staying balanced easily. My hormones started balancing out and most of the symptoms I had been having started to ease away or even totally disappear. I started back to running (like I had the first time I did THM in 2013-2014). I had the energy to exercise, eat right and still do everything at the house that I needed to do. My afternoon slump and that feeling that I just couldn't function had disappeared. As the weeks went on I could tell I was shrinking. My clothes were getting looser and soon, several of them were way too big, thankfully! On June 6, 2017--just 6 months and 4 days after recommitting to the plan, I reached the 50lbs lost milestone! I couldn't have been more thrilled! I felt better. I looked better. My clothes fit better. I was in better shape. And, I was able to take better care of my family. In July, I ran my very first 10K race here in town and that put in me a desire to increase the mileage. I started training for a half marathon distance, and in October of 2017 I ran a half marathon--13.1 miles! Throughout the summer and fall, as I was training, my scale stopped moving. I wasn't gaining; I was maintaining my loss and still feeling great. But, as most of you know, when the scale stops moving it gets discouraging. I allowed myself to become discouraged by the lack of weight loss and ended up going off plan in November and December. As you can guess, I gained back about 15-20lbs. I'm now back on plan and working on losing that again. Why did I tell you that last part? Because I need to understand myself, and I want you to understand that weight loss is a process. And becoming healthy is all about a lifestyle change. Not a temporary fix. Our bodies are all different. If I lost 50lbs in a year and ran a half marathon, I should have been happy with that. Yes, I still wasn't at my goal weight, but I was so much stronger and healthier. I didn't listen to that, though. I let myself get stuck on the number on the scale that had been the same for 6 months. I sabatoged myself. I understood all the science and health benefits of the plan, yet I was too focused on the number on the scale to remember how far I had come and how much my body had healed. I believe God expects me to be a good steward--in many ways--financially, with my time, and also with my health. Choosing to eat healthy and do my best to take care of the body He gave me should always be important to me. And, if you're wondering, my weight after losing 50lbs was still about 11 pounds above the high range on the BMI scale. I was still considered overweight on the chart. I felt like I still had about 10-20lbs at least to lose. But, the scale just wasn't budging. God created us all differently. All different shapes and sizes. All different muscle and bone mass. There is not one "perfect" weight. Our goal with this plan is health. Weight loss is a positive side effect! Maybe I'll never be the "ideal weight" in some people's eyes, but I definitely feel healthier, more energetic and happier following Trim Healthy Mama. Oh my can I ever relate to your story! I also found THM, lost more weight than I ever had (at one time), then let one discouragement slowly derail me. Somehow, I didn't gain back ALL the weight I lost (surely God's grace) and I finally got back to that point again where I was sick and tired of feeling sick and tired. You are so right - "Ultimately, I knew what was wrong. It was my diet. And I was doing this to myself." Here's to a 2018 full of doing what is best for our bodies! Congratulations on your success, and thanks for sharing your story. I think a lot of women can relate to it! Thank you so much for your sweet words of encouragement! We can have a a successful 2018 (and years to come) with God's help! Thank you for sharing your story! I too lost 50 pounds following THM and have been stalled for 2 years...SO frustrating! Life stress has caused me to give up a little and let more cheats take over. I needed to read this today, I want so bad to get back on and focus 100%! Thank you so much for your sweet words! Life's stresses can definitely be discouraging along with those stalls on the scale. You can do it! I LOVE the honesty of your story. I've been struggling for years to not just lose weight but to develop and maintain a permanent healthy lifestyle for myself and my family of 6. I want so badly to follow this plan but its like I've got this terrible fog/block keeping me from fully getting a good handle on how to get it really going. I'm ready to try again... but so tired of trying only to give up when my busy life gets the best me. I know I need to just make the commitment and do it, I just tend to get easily overwhelmed. I'm just full of excuses lol. Anyway, happy to have found your blog! !